The Generate Checkshots tool can be used to generate time-depth pairs from a sonic log. Checkshots are generated spaced at regular MD intervals based on sonic log data from the well. Interval velocities are calculated from the sonic log and integrated to calculate travel time. Travel times are converted to time-depth pairs by referencing them to a single, manually entered, time-depth pair from within the log interval. Some pairs can be excluded if they are not required to achieve a specified level of accuracy in TWT. 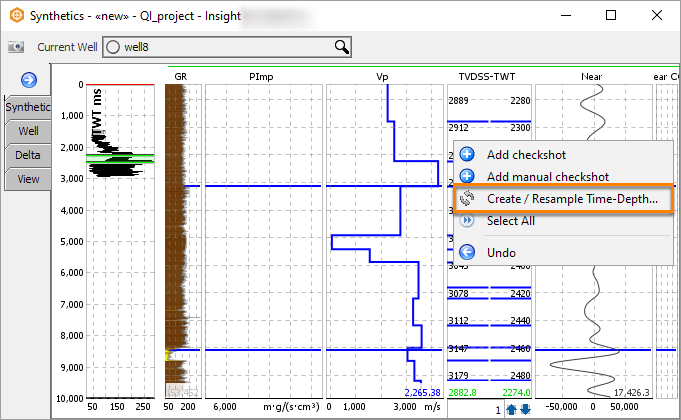 Ensure your sonic log is assigned the P Slowness class in the Details Panel of the Well tab. 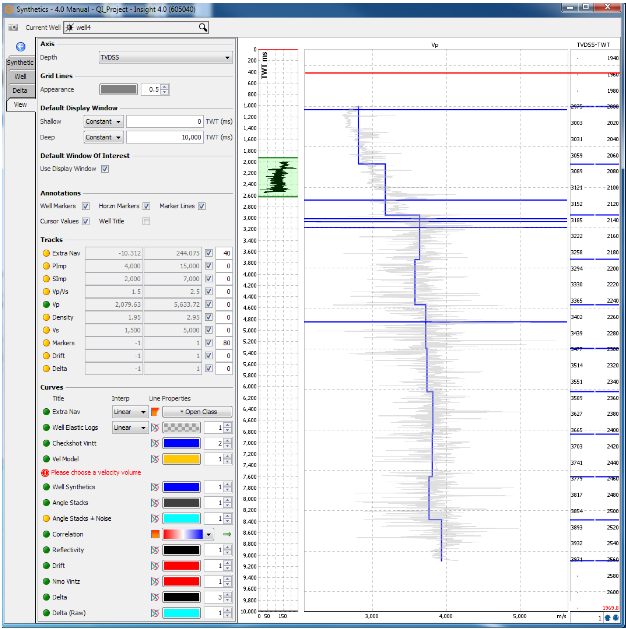 Right click on the TVDSS-TWT track and select Create/Resample Time-Depth Survey. At Mode, select From Log. Accuracy (ms): Pairs that affect time-depth conversion below this amount are excluded. P Slowness: Select sonic log. Ensure units are correct.